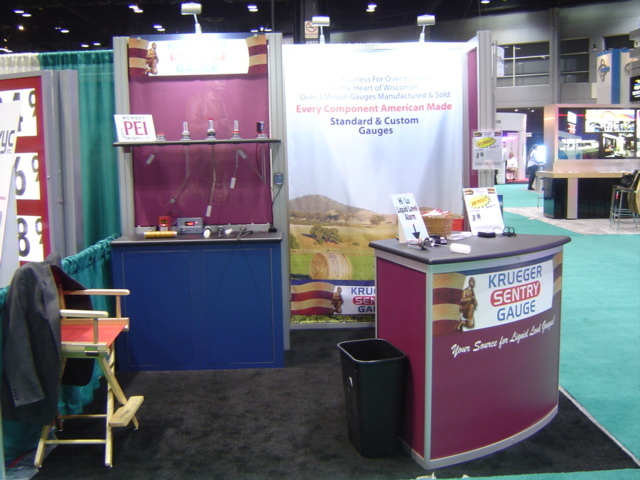 Krueger Sentry Gauge is home and doing post trade show work. The show was a resounding success. We had a new booth this year, and we were showing off our new product. The LED At A Glance. I would like to thank all of the current and new customers for stopping by and saying hello, we appreciate all of your support. I also attended the PEI Young Executive Round Table discussions. I have been a member of the Young Executives for some years now. (Five years, I think) For those of you in the PEI Industry between the ages of 21-45, this group is an excellent way to meet others in the industry and share ideas and practices to the benefit of all. I have developed friendships that go beyond business and I highly recommend this group to anyone in the industry that fall into the criteria. You are currently browsing the Krueger Sentry Gauge Blog blog archives for November, 2008.